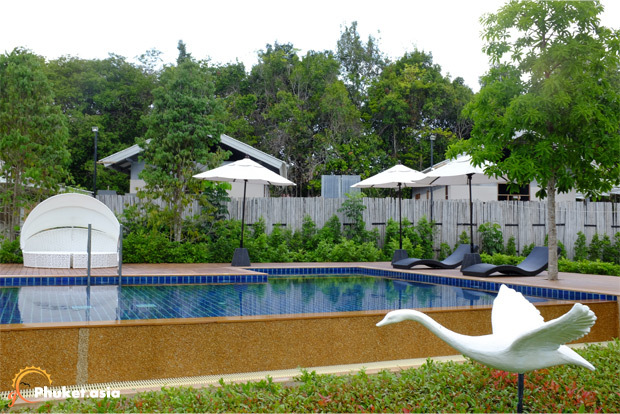 Situated just within 1km from the International Airport of Phuket, the Perennial Resort offers an exotic destination for a comfortable stay. 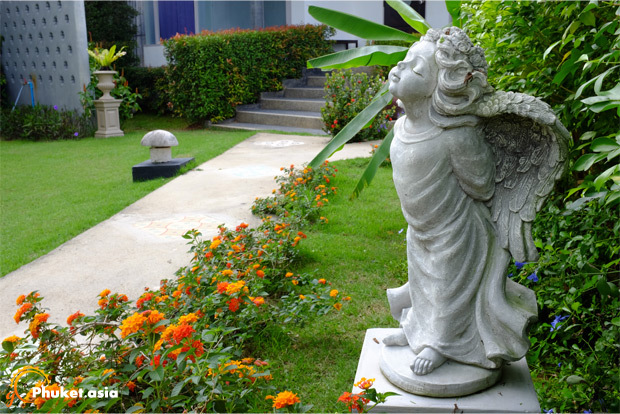 The resort offers a total of 8 villas and is tucked away just minutes walk from the tranquil and natural Nai Yang Beach. Founded by a young couple, this small but unique resort mixes the culture of Phuket with modern European design, offering you the opportunity to get the best of both worlds. 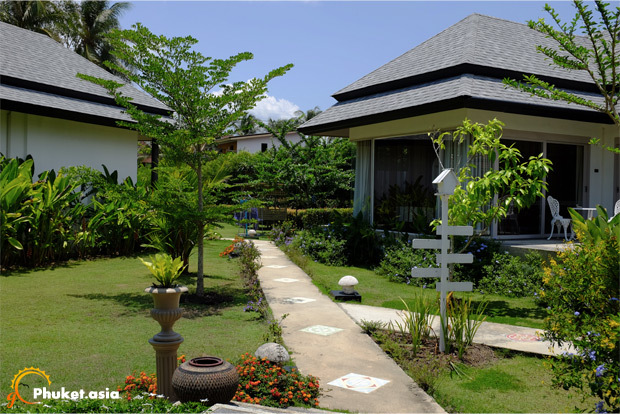 Amid the lush green grass, the rooms and suites at the Perennial Resort afford beautiful views of the garden, creating a serene setting. The garden, while combining in luxury and tranquility, pays great attention to details. The pavements are demarcated from the green grass by small bushes with statues of fairies posed at intervals. The suite villa, which is 84sqm in size is full of modern facilities in order to ensure a comfortable and peaceful stay in a soothing and serene environment. The living room is beautifully decorated with modern sitting arrangement. The walls are eloquently decorated as well. You can also find show pieces decking up the corners of the room. The bathrooms are lavish and include a wooden bath tub. 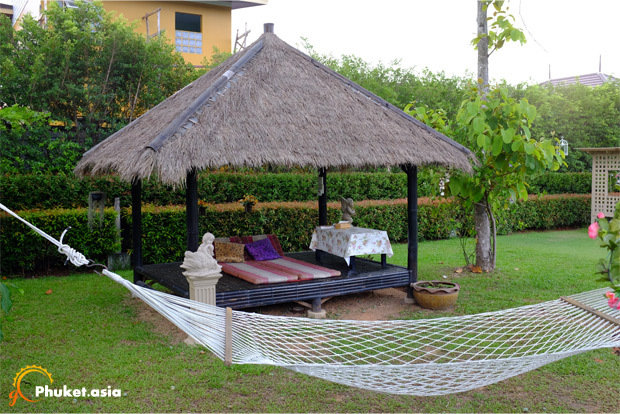 The villa uses good soundproofing materials so you will not be disturbed by the noise outside. 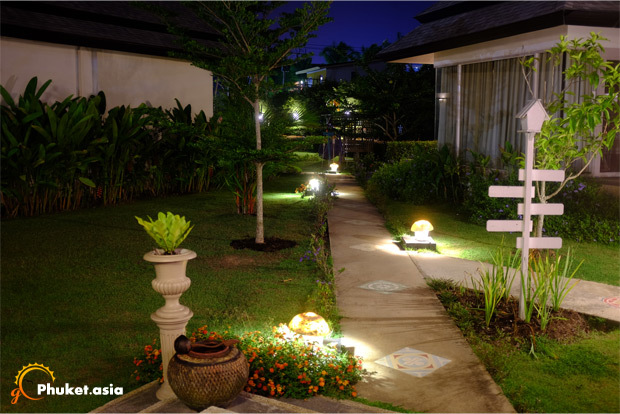 Perennial Resort offers a spectacular view at night as the villas stand in a princely fashion amid the beautifully lighted and decked up garden. The shades made in the country style offer an exquisite place to dine with the soft lights gleaming above. 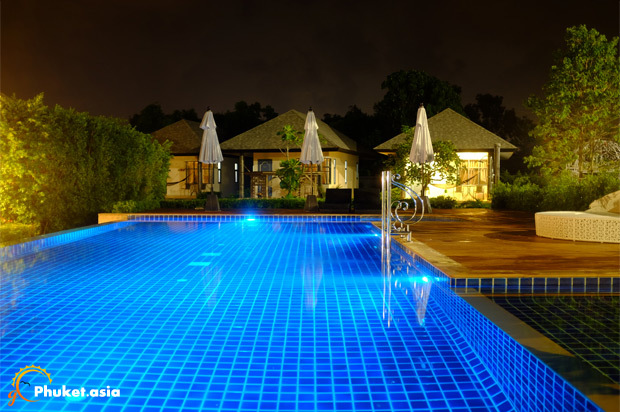 The water at the swimming pool are just what the soul wants after a tiring journey. 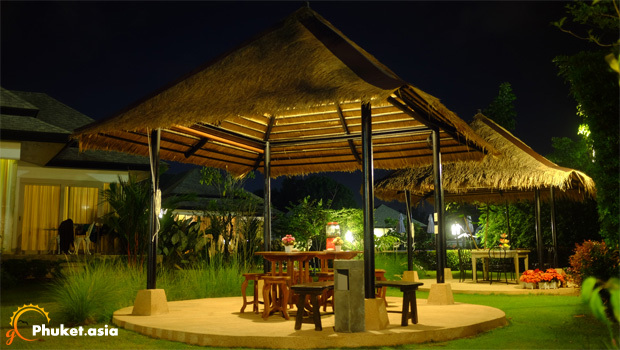 The elegant white canopies keep you cool as you relax by the side of the pool. Q1. Your resort is one-of-a-kind in Phuket. Can you tell us the story of how you come about building the resort? Aim: Starting a business in the hospitality industry was my husband’s idea. He has a relative running a hotel in Koh Samui so he knew a bit of how this business works. 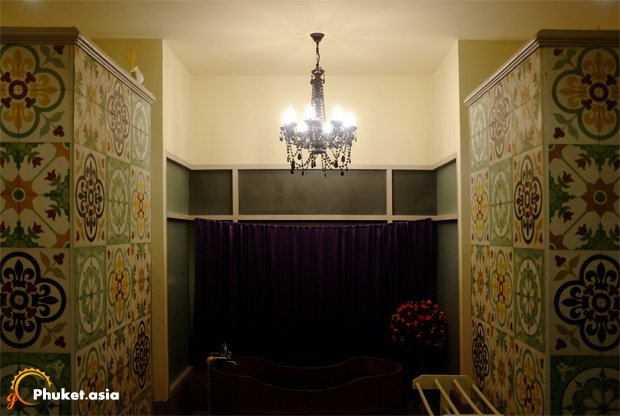 His family has this piece of land near the airport so he proposed to convert this land into a hotel… We wanted the villa to look like a playground in european style. From there, my husband started drafting the big plan while I helped to work out the detailing part. Q2. What Is your occupancy rate? Aim: We do enjoy high occupancy rate and sometimes, we feel sorry for our repeated customers because they wanted to stay with us but all our 8 units were fully occupied. To cope with the demand, we are in the progress of building 3 new villas. For this, we do it in a way that even our guests can’t notice the expansion project. When they step into our resort, it’s our job to make them feel 100% comfortable. Q3. What is the rate of your repeated customers and the average nights your guests stay in your resort? Aim: I would say most of our guests stay for 1 to 2 nights and the returning guests is 30%. Most of them are here because we are in close proximity with the airport. 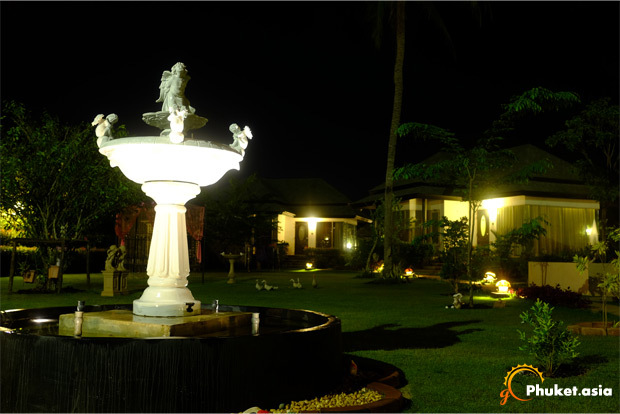 After going through all the tiring flying procedures, all our guests want is to have a good rest. And for our guests leaving Phuket, we don’t want them to miss their flights so we also provide free and fast transport to and from the airport. Q4. What do you need to do to bring the resort to a next level? Aim: We already have a swimming pool but yet to have a restaurant. We also need a bigger lobby when we have more villas in order to accommodate more waiting guests. We have a plan to build these two facilities this year. When this is done, it will take our resort to a new different level. Q5. Do you have plan to duplicate your Perennial brand to another place? Aim: Frankly speaking, we have not thought about that yet. All we are focusing now is the expansion plan within the compound and perfecting the system. Don't subscribe All Replies to my comments Notify me of followup comments via e-mail. You can also <a href='http://www.gophuket.asia/comment-subscriptions?srp=289&srk=460b2a19ca338a9cc1a84e57d7205774&sra=s'>subscribe</a> without commenting.